Left to right: PAMI Head of Investments-Junie Banaag, AIA Group Chief Economist- Brian Murray, PAMI President and CEO- Eric Lustre, Rampver Strategic Advisors Managing Director and Founder- Rex Mendoza, PAMI Head of Retail Sales- Zedric Matubis, Philam Life Head of Fixed Income and Corporate Finance- Vince Daffon. 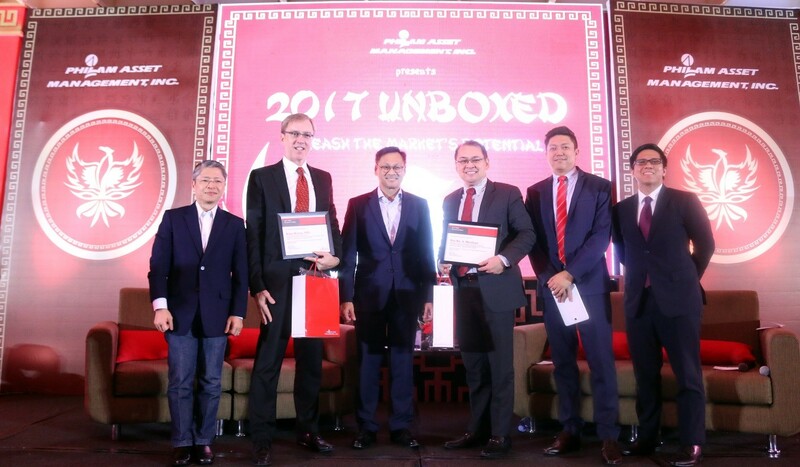 Philam Asset Management, Inc. (PAMI) flies in economic experts to Visayas for the third leg of their Economic Outlook series entitled “2017 Unboxed: Unleash the Market’s Potential”. The event was held in the grand ballroom of The Mariott Hotel, in Cebu City. The event was also in celebration of the Chinese New Year. 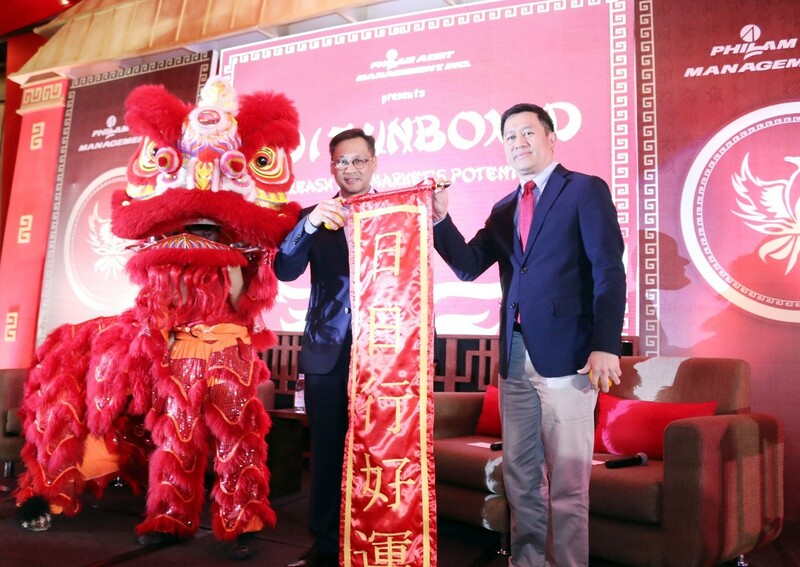 Thematic to the holiday, PAMI opened the show with a dragon and lion dance performed by the Cebu Traditional Wushu dancers. Shortly after that, PAMI called on stage the panel speakers, Rex Mendoza of Rampver Strategic Advisors, Brian Murray of AIA, and Junie Banaag of PAMI and Vince Daffon both of Philam Life. Left to right : PAMI President and CEO- Eric Lustre and Philam Life Zone Head for Visayas and Mindanao- Rolan Enriquez welcome prosperity and good luck after a performance by the Cebu Wushu dancers. The panel was opened with a discussion on the global economic overview by Brian Murray. Murray presented his views on the US and China economic situation. For the US, talks of a proposed border tax implementation is causing worry among countries involved in US trade. This proposition plans to place a 20% tax on imports in order to lower the US corporate tax from 35% to 20% although many view this move to hit US supply chains and raise inflation. Meanwhile China manages to continue its soft landing. Services growth continues to outpace industrial growth and fiscal and monetary policy remain accommodative. External finances remain strong with $3 trillion in reserves, 20 months of import over, and a current account surplus of over $250 billion. However, resolution of the past credit boom remains an issue. Monetary conditions remain tight, but there is a reluctance to cut interest rates as it complicates the resolution of the past credit boom. To discuss the equity market, Eduardo “Junie” Banaag addressed key themes to which investors are uncertain about. One point mentioned was that the change in leadership will not affect the country’s credit ratings. “Our credit ratings will remain the same”. The tax policy will change in the next 5 years and it will be for the better.” Vince Daffon explained the outlook for the local fixed income market in 2017, with the 10-year Philippine government bond yield expected to increase to 4.80% by December from 4.65% at end-2016. However, yields have gone down in January due mainly to prevailing uncertainty over the execution of economic policies planned both in the US and the Philippines.